MultiZYTE® instruments are designed for optimal treatment of the facet and sacroiliac joints. 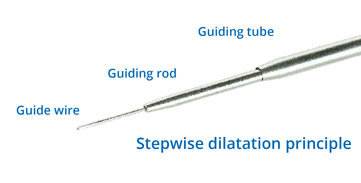 Access is accomplished by gradual dilation (Seldinger technique) using a guiding rod, guiding tube and working tube. Alternatively, a double-cannulated guiding rod can be positioned using the guiding wire. 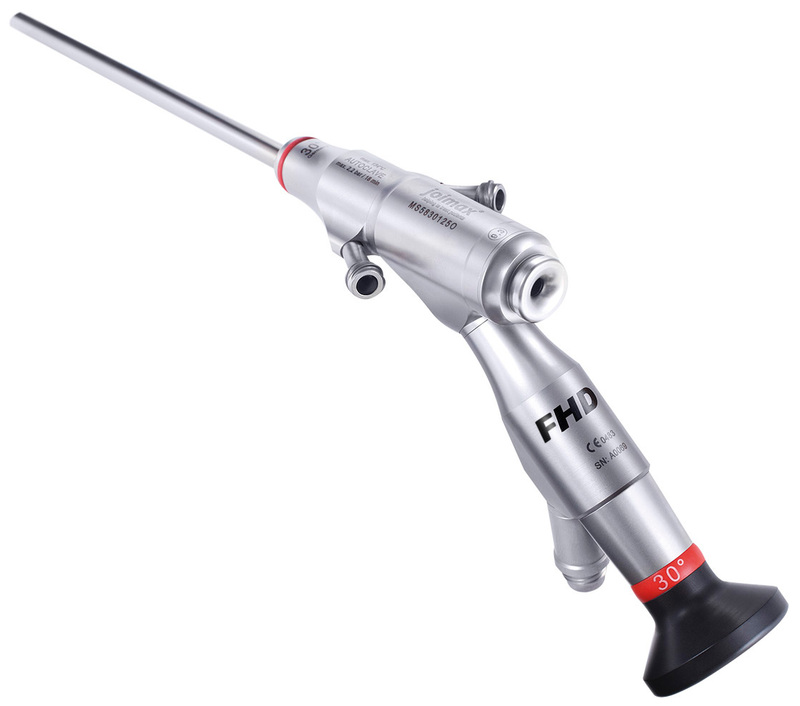 Modern Full HD endoscopes provide a perfect view for the facet and SI-joint treatment. The LaminoscopeTM is available in a modern C-version with single-cable technology (combo) or a D-version with ocular cone technology. Two-cable technology; camera and light source have separate cables; developed for compatibility with most standard camera and light-source systems. The set contains three important tools for cutting, grasping and punching. 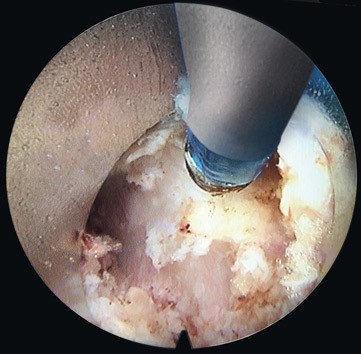 They are used to cut through tissue structures and remove tissue (e.g. for a biopsy). The joimax® RF probes (Vaporflex®, Legato® monopolar and bipolar) are suitable for cutting, coagulation and devitalization of tissue. 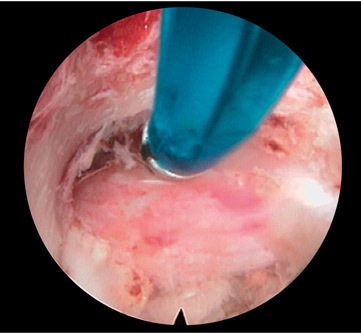 Under endocopic view, facet and SI joints can be treated precisely and efficiently for achieving long term pain free status. 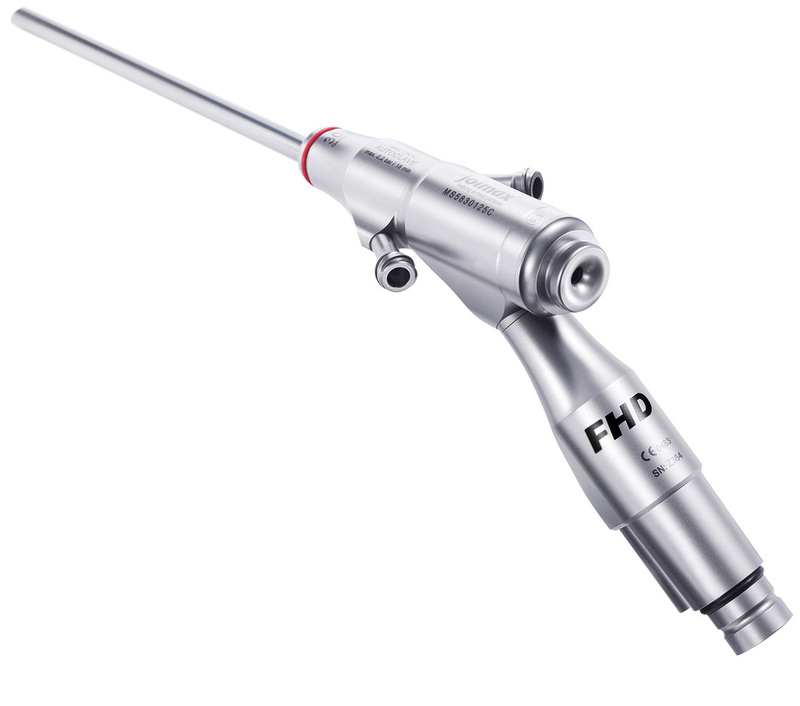 The handles and handpieces of the probes are reusable and are used in combination with single use probes. The Vaporflex® and Legato® Probes are used with the suitable RF generator (e.g. joimax® Endovapor® 2). Treatment of pacemaker patients is possible with both, Vaporflex® bipolar and Legato® bipolar probe. The Endovapor®2 is a smart all-in-one RF-generator with an intuitive and easy-to-operate user concept including latest functionalities. All device settings are pre-programmed for numerous standard procedures. The modes Spine-Vap, Spine-Coag or Rhyzotomy are used to operate the Vaporflex® and Legato® RF-Probes applied with MultiZYTE® Facet and MultiZYTE® Sacroiliac. MultiZYTE® instruments are designed for optimal treatment of the facet joints. Access is directly to the base of the processus transversus. This can be accomplished by gradual dilation (Seldinger technique) using a guiding rod, guiding tube and working tube. Alternatively, a double-cannulated guiding rod can be positioned directly onto the processus transversus using the guiding wire. User-friendly combined camera cable adapter for a camera and light source using single-cable technology. Designed for all generations of joimax® cameras. D-version with ocular cone technology. The set contains three important tools for cutting, grasping and punching through tissue. They are used to cut through tissue structures and remove tissue (e.g. for a biopsy). The forceps are equipped with the patented „Luer Overload Protection System – LOPS“. This prevents overtensioning of the forceps and guarantees a longer service life. joimax® radiofrequency probes are suitable for cutting, coagulating and devitalizing tissue. 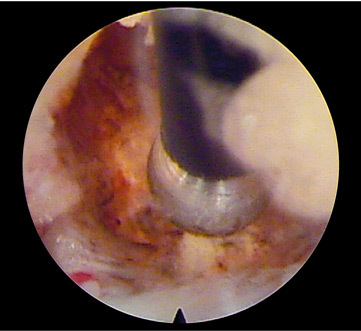 The facet joints are treated efficiently with pinpoint precision endoscopically controlled. Denervation of these joints can produce long lasting pain relief. The handles of the probes are reusable and fitted with disposable probes. The Vaporflex® and Legato® probes are operated with a suitable RF/HF generator, e.g. 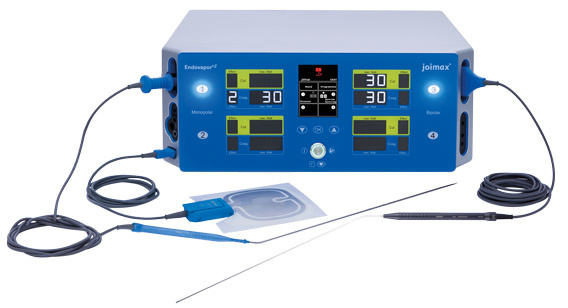 the joimax® Endovapor®2.